Share scores, questions, and knowledge here about gifted and classical programs. And remember, the process takes some time to work through the lists. Please post: School Score Tier. Remember, the process takes some time to work through. SEES go through multiple rounds so it may take a couple months for initial offers to go out. Some families get spots the week before school starts or even that first week if you’re willing to make a move. Letters are due to mail out on Monday, March 28th. I have a report from a parent who attended a meeting with CPS about the South Loop Regional Gifted program that is being phases out at the school. As some background, last year CPS announced that it would phase out the RGC in at South Loop elem due to general overcrowding in the school. The downside of the success of adding a gifted program to a neighborhood school is that the halo affect of the program that seems to rub off on the neighborhood program tends to results in overcrowding (same at Bell and Coonley.) Beaubien has somehow avoided this, but with the principal retiring it could be a whole new ballgame. Pritzker all seems to have adequate enrollment without bursting. 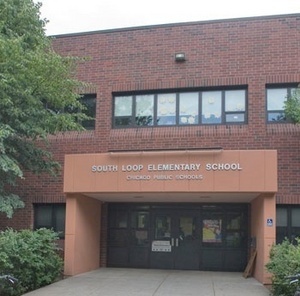 South Loop was not included as an option on this year’s application and parents have been questioning how seats would be filled due to natural attrition. At the time I thought the plan made sense. A gifted program has been phased IN year by year at my son’s school and that has worked fine. We really operate class by class so it doesn’t matter if there is one or nine grades. However what I and what CPS didn’t anticipate is that the uncertainty of the program has resulted in families looking to leave asap rather than wait out their child’s tenure in the gifted program. So suddenly you may have classes losing several kids a year, with no plan to re-populate them. After some time trying, parents finally secured a meeting with CPS to get some answers as to the fate of the program. One parent’s report is below. Another key question is whether CPS has any plans to start a NEW gifted program to fill the already-sparse number of elementary seats. If placing a program in a school seems to be an easy way to help a school grow enrollment, it seems like a win-win/no-brainer, right? 1. Why was South Loop’s RGC removed from the OAE 2012-2013 Options for Knowledge guidebook entirely, and why does the guidebook imply that South Loop’s RGC has been altogether eliminated? 2. Has there been a precedent RGC phase-out case in CPS before? If yes, what was the practice? Are there any lessons to be drawn from that? 3. In light of the decision not to phase-out LaSalle Language Academy due to overcrowding at Lincoln Elementary earlier this school year, help us understand the decision-making process that justifies the phase-out of the South Loop RGC under what would appear to be similar circumstances. 4. Will CPS agree to fill all vacated seats in South Loop’s RGC classrooms with students from the selective enrollment applicant pool for the duration of the phase-out period? 5. If CPS does not intend to fill seats in South Loop’s RGC classrooms that are vacated, why not? How does CPS intend to maintain the vitality of the existing RGC program at South Loop when its classrooms may fall well under capacity? 6. Will CPS commit to maintain RGC classrooms at South Loop consistent with the mission of the RGC program if those classrooms only have 10 students in them? Five? Three? 7. How can CPS reassure parents of children in younger RGC classrooms that this program will remain strong and fully supported five to eight years down the road? 8. If the RGC classrooms are small, won’t this result in larger neighborhood classrooms since teachers are allocated based on averages? How can the integrity of the RGC program be maintained in the face of such overcrowding? 9. Will kids from the neighborhood classrooms be mixed in with the RGC for any subjects other than art, music, phys Ed or world language? This includes the “Walking” program. If so, then how is the RGC truly an RGC? Is this allowed at other RGC or classical programs that share space with a neighborhood program? 10. If this solution does not prove to help South Loop’s overcrowding, is there a chance our children could be asked to leave South Loop? If that happens, will they be sent to another RGC? 11. Do any other SEES in the city lack language instruction as a part of the curriculum as is the case at South Loop? OAE’s website lists World Language as a vital part of the program that is offered at *all* SEES. 12. Some parents have younger children who will not have the chance to be at SLS, not only because the RGC is being phased out, but also because the open enrollment for siblings is gone. As a result, the RGC will start immediately eroding as the younger siblings are admitted in other schools and parents try to keep their kids together. Therefore, is there any possibility that the open enrollment at SLS for siblings of the RGC students is allowed as an attempt to keep the current students from leaving SLS? If the answer to this question is “No”, and if the siblings of RGC students are admitted in another selective enrollment program, can you consider offering a spot at that new school to the SLS student without testing them again? 13. Gifted and Talented students on the North Side have a tremendous variety of alternatives, from formal GTE programs at Bell, Edison, Beaubien, etc., to high-quality magnet programs at nearly a dozen other schools. On the South Side, there are only a handful of schools of that caliber: South Loop, Lenart, Keller, and possibly Murray and Ray. What is CPS doing to replace the 240 seats lost to south-side families with gifted and talented students? 14. What is the status of the gifted coordinator position at South Loop? We have never been introduced to such a person during our child’s time at South Loop, and we understand that the coordinator position is essentially being used to cover perceived staffing shortfalls elsewhere at the school. Without a program coordinator, how do we know that the objectives of the RGC program are being met? Moreover, without a program coordinator, who is there to ensure that the program is not being compromised in the name of what is “best” or “necessary” for the school? 15. What are the reasons for funding Bell’s $10M expansion and Coonley’s second multi-million dollar expansion, given that Bell and Coonley both have RGCs that crowd out the neighborhood programs? Why are their programs worth saving while South Loop’s is not? 16. What is the purpose of the RGC in neighborhood schools? To attract the middle class in Chicago? To give children in neighborhoods without a strong program a chance? If so, then Bell and Coonley’s programs should move just like South Loop’s to a mixed income school. 17. Why are test scores for RGCs not disaggregated from neighborhood schools? What are those scores for South Loop, Bell, and Coonley? 18. What are acceptance rates and average scores of each of the RGCs and over time? parents (so much for their insignificant minority). including 2 members of our LSC. so many children, they get the $$$. which doesn’t sound like a great idea. kids in lower grade classrooms. That could get worse before it gets better. up to a higher level? Loop and a few others who are in a similar situation (or on their way to it). families to choose which school to attend. Mr. Sicat and Ms. Ellis both agreed to open the lines of communication. Test Prep for 4 year olds? I’ve seen a couple people asking whether it is worth buying some test prep materials for kids entering K and taking the gifted/classical test. For the gifted test, the questions are more logical in nature: analogies, patterns, logic, which item doesn’t belong, etc. For the classical component, I would say that you can do that yourself with having kids practice letter sounds and basic number concepts. I had some of those colorful magnetical letters and a little board and I’d try to trick my son into playing some fun games as I made simple words like BOO and change it to POO to see if he could tell that it said. Hilarious! He barely realized he was reading. I’d make up little funny stories to go with the changing words. For “math” you’re probably all doing it anyhow – taking 2 action figured and another 2 and making the team of 4. Look, 4! Woo! The gifted stuff is a little hard to “practice” on a daily basis as we don’t typically make simple analogies throughout the day. I do think some simple practice could make sense here just to get them used to the idea of these questions. To me, the concept of test prep is making them feel comfortable with what is going to happen in the room, rather than drilling on stuff. So being able to follow directions, circle things on a piece of paper (i.e. which doesn’t belong, which comes next, etc) probably helps a little bit and may relieve some confusion in the room. Heck, they may not even use pencils for the K testing. It probably would help to also practice having them point to the right answer from a group of 4 possible answers. In NYC, they all know that the test used is the OLSAT but we don’t know which test is used here. So to me, it could be risky trying to practice a lot of one type of question, only for your child to get in the room and it’s all different. If you order any workbooks, read the description carefully to see what’s inside and if there’s a variety of questions (or if not, is it all the type that you want?) Unfortunately, (or maybe fortunately) most of the books avaible are just general practice books, not true test-prep like you can do for the SAT’s or other standardized tests. One thing I do like about the general prep books is that you can see what areas your child can answer questions and those that stump them… and hopefully make up some games, questions, drawing, quizzes of your own to help them with those skills in a way that is fun and relevant to them. Or if you help them solve the questions, they can get an idea of the thought process used. Sometimes that is half the battle with my son and math problems. I’ve emailed ThinkTonight.com to see if they have any specific recommendations for kids entering K in CPS. I’ll let you know what I hear. I just found this site. COGAT is the test they used to use in NYC, I think. I’ve seen some practice questions and they’re probably good basic practice ones for any kids (and fun if you are nerdy like I am.) Not sure if there is a prep book for just K either. I’ve been writing a page that will be a FAQ for the Gifted/Classical program, but in the meantime, here’s what I’ve written about the selection process for those who don’t know. How does GEAP select who gets in? Once all the kids have tested, they rank the kids in test score order. They start at the top and see what school those kids picked and assign them their top choices. They keep moving down the list of test scores, assigning kids, trying to get you into your highest choice. In the past, there were 2 lists of kids: Caucasian and Non-Caucasian. Caucasian kids could get up to 35% of the spots in a class (they make up about 9% of CPS overall.) So the GEAP office worked its way down the 2 lists separately. For the 2010/2011 school year, CPS is using a 4-Tier system that assigns kids to schools based on the socio-economics of their census tract. 40% of gifted/classical spots will be assigned based on test score alone, and the remaining 60% of spots will be evenly divided by Tier. There is no gender balancing in the gifted/classical program. Once the first round of spots are offered and some families turn spots down, GEAP will continue to call to fill the spots, moving down the list (by Tier) until each class is filled. You could even be called the week before school starts. If your child scores really high, they’ll probably get a spot in your top choice. If they scored well, but not super-great, they may get in your 3rd or 4th (or last) choice. As note on strategy: If you accept your #4 choice, you won’t get to move up to your #1 if a spot opens. That is the tricky part – do you take #4 or take the chance of turning it down in hopes of a better (or closer) position being offered. Gifted Test – Why yes, I do have something to complain about…. So as I mentioned, I took my son to the gifted test today (testing for a 2nd grade spot.) Thanks to blog poster “Y” for keeping me company during the test. -He did say that a test person read through all the questions, telling them what to do for each and then they had to fill in a bubble with the right answer. OK, so now for the complaining part. Keep in mind that my background is in marketing research so I’m all about test validity. So… they split the kids into 3 color groups and took each group away to another test room. We waited maybe an hour and 10 min and group 1 comes back. Shortly thereafter, group 2 comes back. Waiting, waiting….. our kids’ group was still in the test over a full 30 MINUTES more than the other groups. I finally went up to the 2 (grad school looking) administrators at the front of the room and started yammering about why it was taking so long and throwing out words like “testing bias” which I *think* accurately describes my issue. I asked them at what pace the test administrator goes through the questions and whether they wait for each child to finish before moving on to the next question. They told me that the extra time my kid was gone was most likely due to a longer bathroom break (meaning maybe all the kids had to go) AND they also said that the administrator tries to make sure each kid is ready to progress before moving on. Uh, WHAT?! Is it just me or does that seem insane? THAT is testing bias, people. There were 3 test rooms today and 2 seemed to move at a pretty good clip while 1 group may have had a couple slowpokes who dragged out the entire test for all the kids. The question is… how does that influence the results? One the one hand, a non-slow kid could have more time to think about their choices and do better. On the other hand, a non-slow kid could get bored out of their mind and lose interest with an extra 30 minutes crammed in there. Not to mention the having-to-pee-because-your-mom-bribed-you-with-McDonald’s-beforehand factor. I know I sound obsessed, but it just bugs me because it shouldn’t be THAT uneven of a test time. And it bugs me that they weren’t concerned about it. I guess we’ll find out a few days after March 15 when the scores go out. My son said he did pretty well but then he didn’t do well when he had to pee. Interesting report. He’s been bribed with getting the Lego Harry Potter Nintendo DS game as a reward. So of course as soon as he woke up this morning he insisted that he wanted the game BEFORE the test. Given his history of getting really frustrated with any new game during the first couple hours (given his relatively weak game-playing abilities that still are better than my horrible game-playing abilities) there is no way in heck that’s gonna happen. Will report later. I’m hoping that by the time high school testing comes around this all seems like a cakewalk to him. Wonder what I’ll be bribing him with then? Probably some kind of electronic that doesn’t even exist yet.